UNI football fans attending home games at the UNI-Dome during the Panthers' 2017 season will be charged to park for the first time. Athletic officials issued a press release via UNIpanthers.com that details the new fees. UNI will begin charging non-Panther Scholarship Club members to park. The cost for cars and trucks will be $5. RVs and buses will be hit for $10. Panther Scholarship Club members at the purple level and higher will continue to park free of charge for home games in their assigned lots. 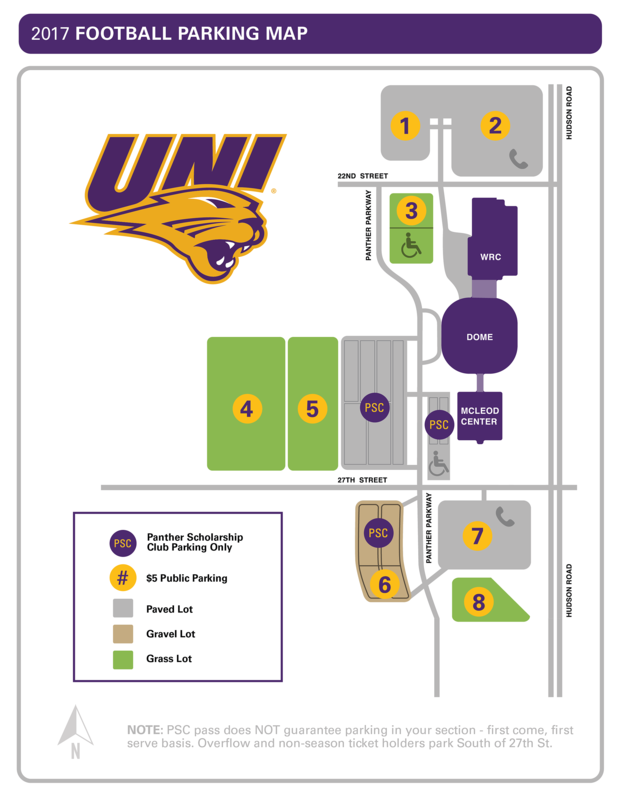 UNI students with UNI parking permits will continue to park for free in their designated lots on game days. UNI is not the first Missouri Valley Football Conference school to charge for parking. Illinois State charges $10. South Dakota State has $10 and $5 parking fees. North Dakota State and Youngstown State already have a $5 parking fee. "We did not enter into this decision of charging for parking lightly," UNI Director of Athletics David Harris was quoted in the press release. "However, the overhead cost of a football game day and running the UNI-Dome 365 days a year continues to rise. We've chosen to take this step in order to defray some of these expenses and continue to give Panther fans an exciting game day experience. Ultimately, we chose a price point that is consistent with other members of the Missouri Valley Football Conference." The home portion of UNI's 2017 football schedule begins on Sept. 9. The Panthers will host Cal Poly in the UNI-Dome at 4:00 PM.